When making a large dish I like to try to serve it in a different way each day after the initial meal. This is a unique set of suggestions to help reduce meal fatigue (not wanting to eat leftovers because you’re tired of eating the same thing). Served with Naan and Papadum. 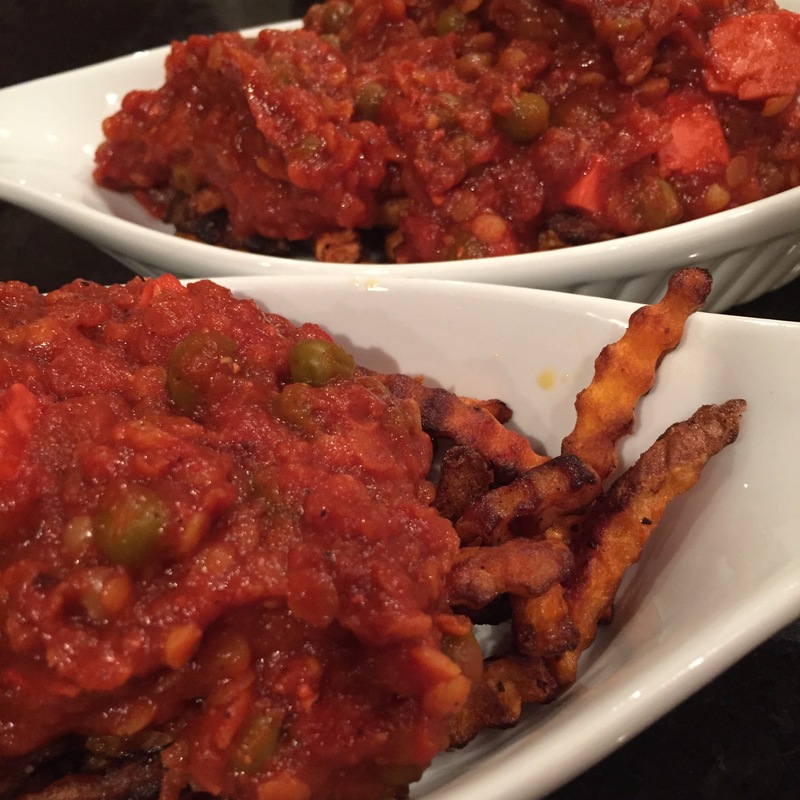 Serve curry atop a bed of baked sweet potato fries as an Indian-Canadian fusion style take on poutine! Yes, you read that correctly, this dietitian is offering up tips on Curry Poutine! 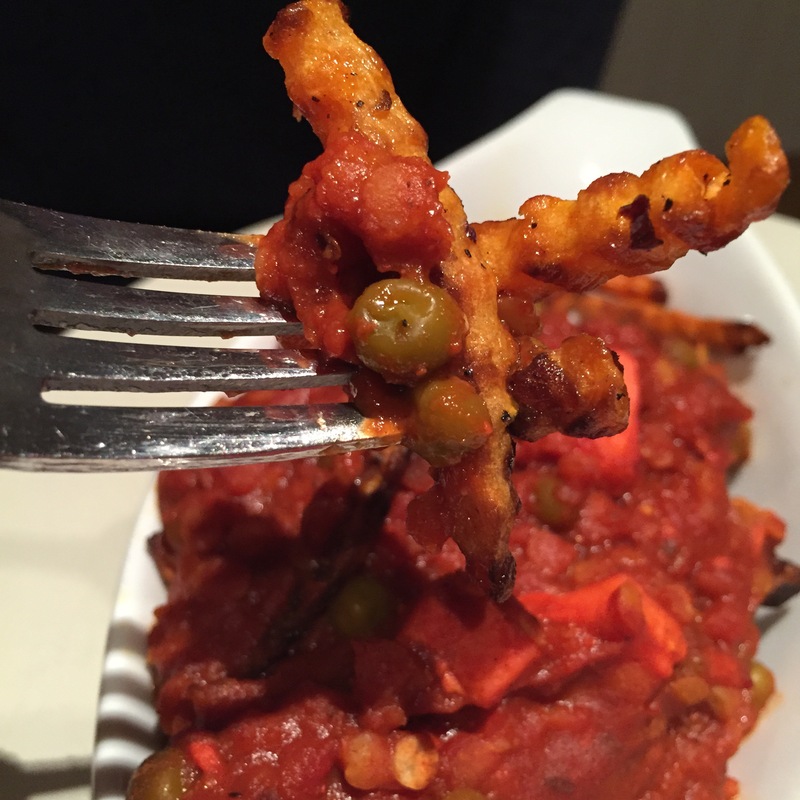 I’ve topped these fries with a paneer, pea, and red lentil hot Indian curry. Curry poutine! Slice sweet potatoes thinly or buy pre-sliced sweet potatoes. Toss in olive oil and pepper. Bake at 425 for 20 minutes flipping your fries after 12 minutes. Add to your plate or dish and top with hot leftover curry and serve your curry poutine. 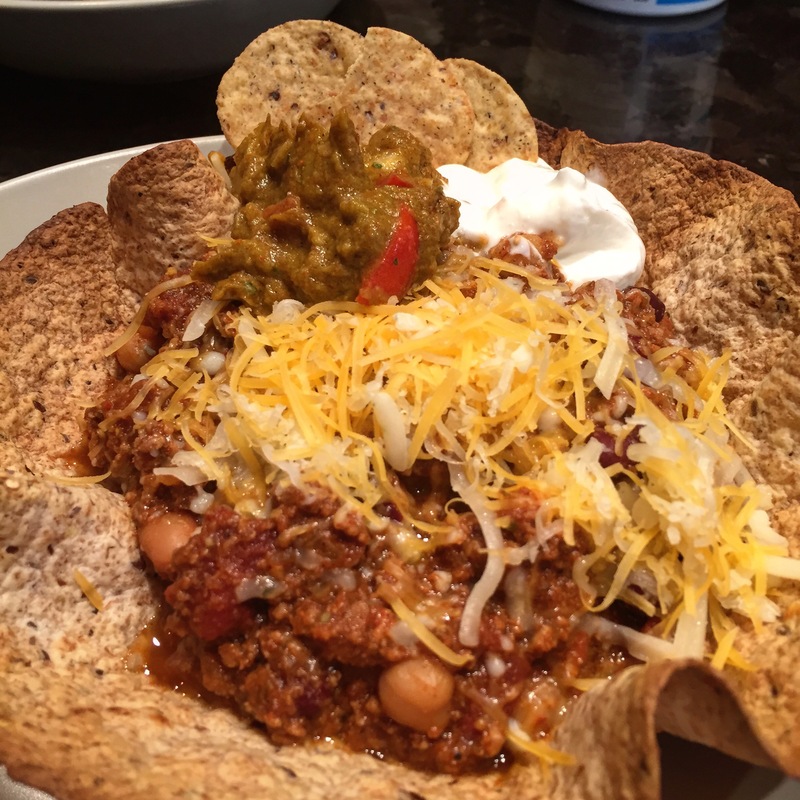 Chili with tortilla chips, sour cream and guacamole. Served in a baked tortilla bowl with same toppings and cheese too. Served hot atop a cold hearty salad (spinach, peppers, greens, kidney beans, avocado, shredded carrots tossed in ranch dressing) for a Tex-MEX salad sure to please. Serve hot in a wrap with grilled peppers and onions and a dressing (hummus, avocado or another spread) load up with your favourite sandwich toppings and grill in a press. Dice or mince any leftover meat/poultry and add mayonnaise, greek yogurt and mustard mixing well to make a “salad” style mixture for lunches or a quick meal on the go. 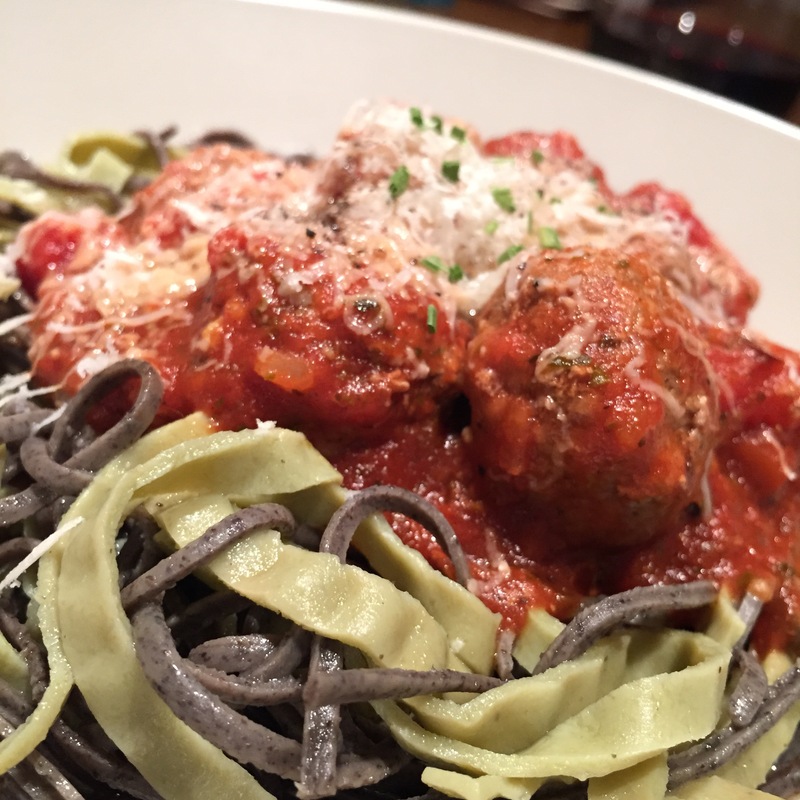 Served pasta (or alternative) with sauce and meatballs. Serve the meatballs and sauce on your favorite bread toasted with melted cheese as meatball subs.